With the increasing importance of video, Panasonic has placed the emphasis very much on the G7’s movie capabilities without treading too closely on the Lumix GH4’s toes. 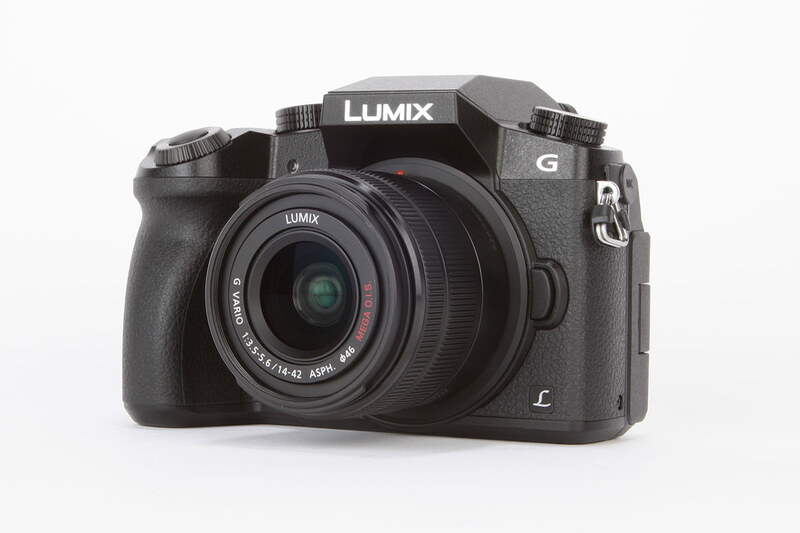 Unlike the manufacturer’s flagship model, the Lumix G7 doesn’t record cinema-grade DCI 4K video (4096×2160 pixels), instead using the UHDTV format (3840 x 2160 pixels). But the addition of the 4K Photo modes will come in handy for those who either struggle to fire the shutter at the perfect moment or those who like the idea of being able to extract the best frame after the action has happened. The 4K photo mode certainly shouldn’t be considered as a go-to mode for everything, especially when the G7 can shoot full resolution 16-million-pixel stills at up to 8fps, but if you’re wanting to capture a child breaking through the finish line tape at their sports day, say, it certainly increases your chances of getting the perfect shot. Just like the Lumix G6 was an improvement on the Lumix G5, the Lumix G7 is a step up on the Lumix G6. The key areas of improvement are its high-resolution EVF that offers a highly detailed view of what you’re shooting and its 49-area AF system, which provides better coverage across the frame. On the subject of focusing, the G7’s contrast-detect system locks onto subjects with little fuss and pulls focus smoothly in video mode. Although the sensor doesn’t resolve any more detail than its predecessor, it manages to preserve detail in its high ISO images well. Images taken at ISO 3200 and 6400 are by all means usable with some noise reduction applied if you’re shooting raw, but ISO 12,800 is best reserved for small prints or where the image quality won’t be closely inspected. The build quality could have been made better by substituting the plastic top plate and thumbwheels for more robust material, however the rubberised handgrip and the way the camera fits the hand is particularly good and gives the impression you’re holding onto a lightweight DSLR. Compared with other CSCs I’ve handled in the past, the G7 is up there as one of the most comfortable I’ve held during a prolonged period of shooting. For those seeking an affordable and lightweight CSC that benefits from an excellent viewfinder, fast autofocus and all the control you need to get creative with stills and video, the G7 is a camera that ticks the boxes. There are other CSC’s out there that can resolve finer detail and offer a stronger build quality, but then again not all the other options spoil their users for choice when it comes to the number of lenses that are available in the micro four thirds mount like the G7. For the consumer it’s aimed at, the G7 provides an enjoyable shooting experience.